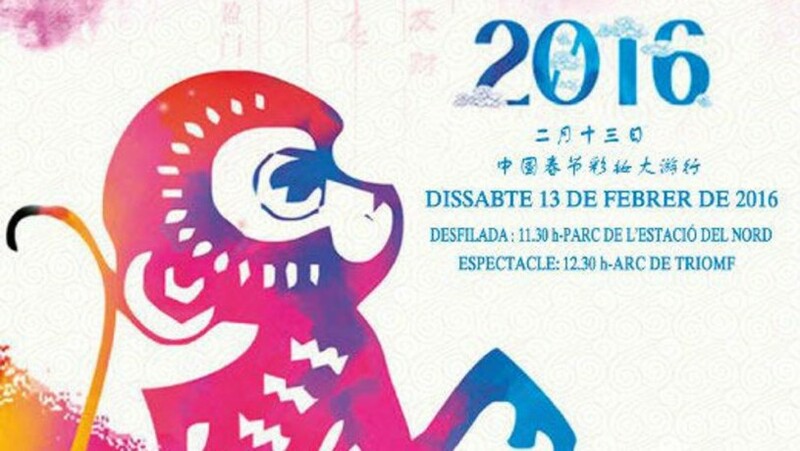 This Saturday Barcelona will be hosting a celebration of Chinese New Year, the most important festival in the Chinese community around the world. The new year, also known as the Spring Festival, is marked by the lunisolar Chinese calendar, so the date changes from year to year. The festivities usually start the day before the New Year and continue until the Lantern Festival, the 15th day of the new year. The highlight of this years Barcelona celebration will be a big parade through different streets in the Eixample, with the participation of major Chinese associations and federations of Catalonia and local entities. The cavalcade will begin at 11:30 am on Saturday 13 February in el parque de la Estació del Nord and will end in front of the Arc de Triomf with a scenario in which there will be performances of Chinese and Catalan culture and folklore. The celebration is organized by the Chinese community in Catalonia, among which include the Union of Chinese Associations for Charity of Chinese in Catalunya and the Federation of Chinese Associations of Catalonia, with the support of the City of Barcelona, Casa Asia, the Consulate of the People’s Republic of China and the Confucius Institute of Barcelona.